There has been a lot of discussion recently about Hyperloop recently – from the East Coast to the West Coast and places in between. Hyperloop is envisioned as a transportation network using vacuum tube technology to whisk people and freight long distances at very high speeds. Much like train traffic, Hyperloop does not require tunneling – surface and aerial rights of way are equally viable options. Tunneling, however, could prove useful in urban areas where land is at a premium. 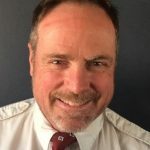 To get more of an insight into Hyperloop – past, present and future – we talked with Brad Swartzwelter, a Colorado-based conductor for Amtrack and member of the Hyperloop Advanced Research Partnership (HARP). After earning a bachelor’s degree in 1994, began a railroading career by working coal trains from the massive mines of Wyoming. In 1996, he switched to Amtrak where he has worked in operations, rules instruction and safety. Together with a team of passenger rail advocates, Swartzwelter wrote a business plan that resulted in the very successful Winter Park Express ski train. Currently, he is a Conductor on that train and California Zephyr. In 2003, Swartzwelter wrote and published “Faster than Jets: A Solution to America’s Long-Term Transportation Problems.” Recently, he was made a Senior Advisor to the HARP Board of Directors. It’s a word that is as of yet “undefined.” In 2012, Elon Musk coined the word to describe what he called “a fifth mode of transportation.” That implies a means of travel that is new and unregulated. Cars, airplanes, trains and boats are established. Put more technically, vehicles on wheels guided by the operator (cars, trucks), aircraft propelled above the ground (airplanes, balloons, etc. ), fixed guideway machines (steel wheeled trains, maglev) and vessels that move through water (boats). In order to have a fifth mode, a novel element must be dominant. The key to Musk’s idea, and all true iterations of the concept since, is “movement through an artificially reduced atmospheric environment.” The low-pressure tube is new. It requires a whole new set of safety regulations to be added to the US CFR 49. At the HARP 2019 Global Hyperloop Conference one of our goals is to define “Hyperloop” once and for all with help from editors of various dictionaries, and possibly even Musk himself. What are the potential benefits of Hyperloop systems? Hyperloop promises a great number of benefits over existing modes of transportation. All those improvements are based on two very simple concepts: 1) The shortest distance between two points is a straight line, and 2) The most efficient way to move across that line is to eliminate friction. If hyperloop is primarily underground (my opinion – not necessarily HARP’s – is it will be in time), the route through almost any corridor can be built in a nearly perfect straight line. When atmospheric resistance (air) is removed from the tunnel and the vehicle has no moving parts, friction is reduced to the lowest possible ratio. That allows the vehicle to go very fast (faster than jets) with very little energy inputs. Eliminating moving parts is where magnetic levitation propelled and retarded by linear motors comes in. That efficiency makes Hyperloop sustainable. It will be powered almost entirely by renewable energy sources with zero emissions. At the same time, it will give humanity great mobility improvements regarding speed, frequency, affordability, system longevity, resilience, safety, and much more. In time, Hyperloop systems will be so abundant below the surface that an average person will be able to get into their private car and have it drive them into the nearest Hyperloop portal where they will be automatically whisked to the portal nearest their destination anywhere in the nation – in a matter of minutes, not hours. I realize that sounds like “pie in the sky” today, but that is the potential of Hyperloop. For a historical comparison, just imagine seeing an airplane in 1919. It was not much more than a kite with an engine. Yet just 50 years later, in 1969, Neil Armstrong was walking on the moon, wealthy people were traveling at twice the speed of sound in the Concorde and the masses could go anywhere on earth in one day on a Boeing 747. What is the Hyperloop Advanced Research Partnership? HARP is the only unaffiliated, not-for-profit advocacy organization dedicated to the advancement of Hyperloop technology. Its membership includes university professors, Hyperloop company executives, government officials (mostly DOT), students, journalists, authors, architects, engineering professionals and more. Our goal is to be the hub for Hyperloop collaboration, information and research. The HARP mission statement is as follows: To promote the collaboration, research, funding, and knowledge sharing necessary for the development of high-speed tube transportation networks and standards around the world. Most recently HARP has embarked on creating conferences where stakeholders gather to share and learn from each other. The next conference will be on July 8-9, 2019, at the Colorado School of Mines in Golden. What is the history of Hyperloop? What developments are pushing it forward? What obstacles is it facing? Elon Musk is credited with getting Hyperloop started in 2012 and punctuated that with a “white paper” in 2013. A more accurate portrayal is that he stoked the nearly dead fire and brought it back to life. The first writings of a reduced pressure tube transport system date back to the late 1700s. By the mid 1800s the term “vactrain” was used in science fiction. By the 20th century serious work on the vactrain concept began. By the 1990s one group, SwissMetro, had secured significant government funds to research the concept of underground vacuum tube maglev. I wrote my 2003 book “Faster than Jets: A Solution to America’s Long-Term Transportation Problems” based in large part on the work done at SwissMetro. All those efforts had fizzled to nearly nothing by 2012. Then suddenly, a guy who could land rockets on their end in the middle of the ocean, create a car company from scratch and give people the tool to transfer money effortlessly over the Internet said, “I have an idea.” Credibility is everything! In no time, companies had formed, capital was raised, and the race was on to create Hyperloop for real. 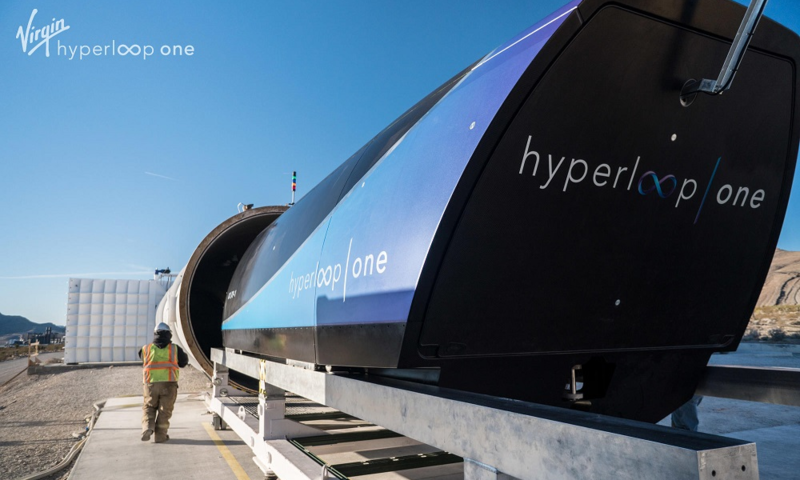 Today, vacuum tube maglev has been proven to work at the DevLoop facility in Nevada operated by Virgin Hyperloop One. A few other test facilities will equal that feat and more in the next year. A few things are not yet demonstrated, like a switch from one guideway to another without massive moving “switch points,” long distance speed potential, life support systems, etc. All this should only be a couple years of research (or less) away. As all the related technologies mature, HARP will try to help “standardize” the industry so that regulators and other stakeholders have common practices – like today’s North American railways that all have the same gauge tracks. Then the real hard part: securing rights of way. That is a political, financial and social problem. Why is Hyperloop a better option than other transportation methods? It’s all about efficiency. A long train must turn thousands of moving parts to go. Each part resists that movement. Energy must be applied to overcome that resistance. As speed increases, wind resistance increases as well. In order to go faster, the train has to add exponentially greater amounts of energy to overcome the wall of air building up in front of every extruded surface. Even if the wind resistance and mechanical friction can be overcome with available energy, the moving parts themselves have limits on how fast they can spin before the metallurgy or other materials fail. The same principle holds true for aircraft. Hyperloop has no moving parts to spin out of control when traveling at speed, or air to push against. Therefore, there is no theoretical speed limit if the track is perfectly straight, atmospheric pressure is zero and energy is unlimited. Of course, the reality will be that the track will have flaws and the air pressure can only be reduced to about 0.01 atmospheres in such a large space. In the real world, we expect Hyperloop to reach about 750 mph. But that speed will be achieved on just a couple kilowatt hours of electrical power per seat mile. That is a small enough energy demand to make Hyperloop operational on solar panels, wind generators and batteries! I believe the Hyperloop potential is “faster than jets for the energy use of a light bulb.” Nothing else comes close to that level of efficiency. Most people that have heard of Hyperloop associate it with passenger travel. The real money will be in the freight business. Hyperloop, if built underground and sufficiently large enough to handle intermodal containers, will move billions of tons thousands of miles without pollution, on board employees or risk to motorists. 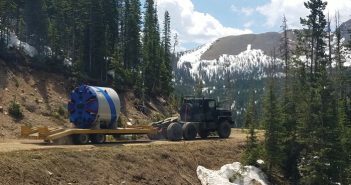 Why are tunnels a good match for Hyperloops technology? Hyperloop has to have straight lines if it is going to realize its potential speed. Curves kill speed. There is no way to drape a pipe across the surface of the earth without turning for topography and development. That is the big reason to go underground, but there are many others – mostly centered around environmental concerns. Basically, Hyperloop will gain popularity and expand exponentially as the 21st century wears on. People at first might like the novelty of Hyperloop tubes being seen, but that romance will wear off fast. Nobody wants their neighborhood looking like the engine room of a battleship with massive pipes running everywhere. When the system is underground, it will be unseen, unheard and unfelt. For the most part very few scars will be cut across the landscape and no trees, homes, parks, utilities or buildings will be disturbed if Hyperloop is underground. Finally, there is nearly unlimited 3-dimensional depth and breadth for expansion of hyperloop underground as opposed to the 2-dimensional surface space that is already owned and occupied. What is Hyperloop’s current status? There are three main test beds right now. First, there is the SpaceX/Boring Company tube in Hawthorne, California. That facility is used for the pod competitions each summer where university teams compete to see who can build the fastest Hyperloop pod. It’s great fun, and a wonderful way to get tomorrow’s brilliant minds thinking about Hyperloop. Second is Virgin Hyperloop One, which created the DevLoop test facility in Nevada. That is where true passive levitation, contact free, linear motor drive through an artificially reduced atmospheric pressure tube first happened. That is where Hyperloop became real. Since then, Virgin Hyperloop One has been developing pods in Spain, and prepping to build a commercial track in the Middle East. The company also plans to have a prominent place at the 2020 American pavilion at the Dubai Wold’s Fair. Finally, Hyperloop Transport Technologies (HTT) is building a Hyperloop track in Toulouse, France. HTT has constructed a fully functional pod that should be operational within months. HTT will probably be the first to have a true “Kitty Hawk moment”: when a human being rides in a maglev pod that travels through an artificially reduced air pressure environment. HTT is also working toward a commercial track soon in the Middle East. There are several other research groups that are preparing hardware and/or have exciting plans. HARP encourages them all. It is my belief that every idea and concept should be listened to at this point of infancy for the hyperloop industry. What are the next steps in developing Hyperloop? Hyperloop is rapidly approaching the political realm. So, regulations and standardizations will need to be set. Rights of way and stations will have to be planned. All that is political. Leaders of transportation departments and elected officials will play key roles in Hyperloop deployment. Star power should not be underestimated. If a big name like former President Obama or Bush were to advocate for Hyperloop, that would accelerate the process.Where is the money coming from to deploy and maintain these systems? HARP’s Dr. Rick Geddes gave a great talk on this subject at the 2018 HARP conference in Los Angeles. He explained the possibilities of public-private partnerships and other financing models that can work for Hyperloop. Construction capital will be the issue. Once built, it is very probable that Hyperloop efficiencies will make it a self-sustaining profitable venture. Additionally, Hyperloop will not have the handicaps that other transportation modes have: It won’t be weather dependent, it won’t be labor intensive and it won’t be reliant on purchased finite energy supplies.